AT&T reported its first quarter earnings today. Thanks to contributions from pre-paid subsidiary Cricket, wireless business in Mexico and subscribers for connected devices, the number of net new subscribers in North America surged by 2.3 million from January through March. Net new subscribers in the U.S. amounted to 1.8 million. In Mexico, that number added up to 529,000. On a year-over-year basis, postpaid churn rose from .90% to 1.02%. Sequentially, that was a decline from the 1.10% recorded in the previous quarter. As of the end of the quarter, AT&T counted 75.8 million wireless subscribers. 48.8 million were postpaid customers while 26.9 million were hooked up via a connected device. 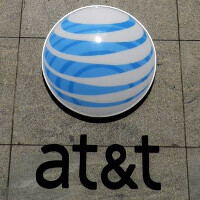 AT&T noted that in Mexico, its 4G LTE signal now covers 51 million people. By the end of the year, that number should be up to 75 million. The entire company, including wireless, brought in $40.5 billion on a consolidated basis. That is up 24% year-over-year. First quarter earnings amounted to 72 cents per share. Analysts had expected revenue to hit $40.46 billion, with earnings of 69 cents per share.